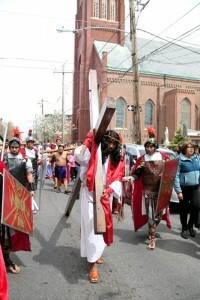 Jesus (Jose Miguel Almaras) carries his cross on the street past Annunciation Church. 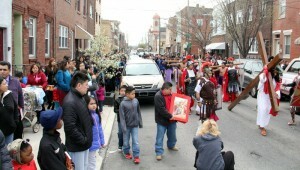 The community gathers around the solemn scene depicting Jesus, portrayed by Jose Miguel Almaras, dying on the cross. 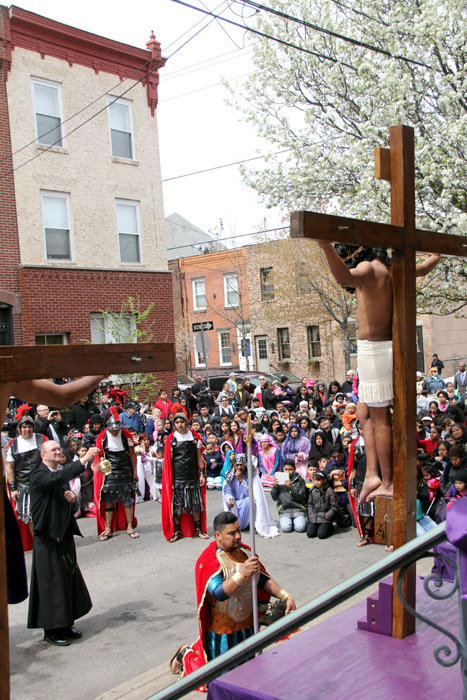 Redemptorist Father Bruce Lewandowski incenses the scene at left. 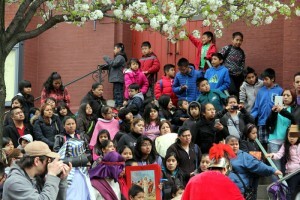 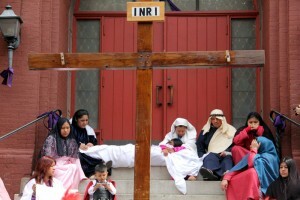 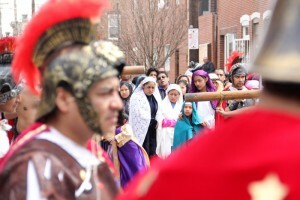 A crowd watches the Living Stations of the Cross devotion on the Annunciation Church steps. 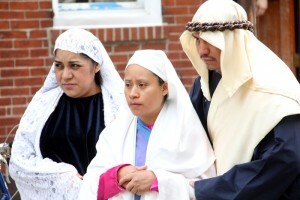 The women of Jerusalem (portrayed by parishioners) weep for Jesus. 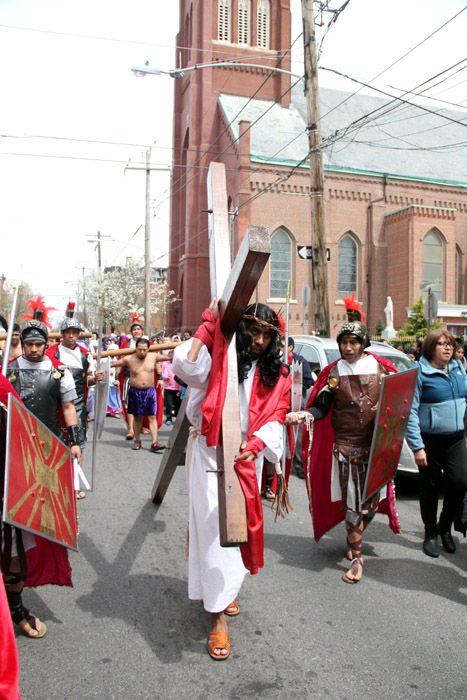 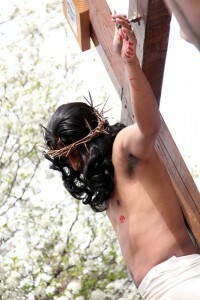 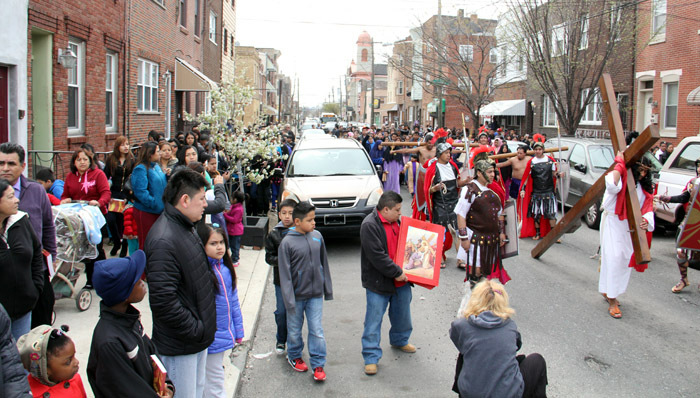 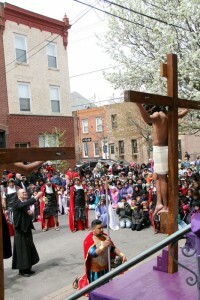 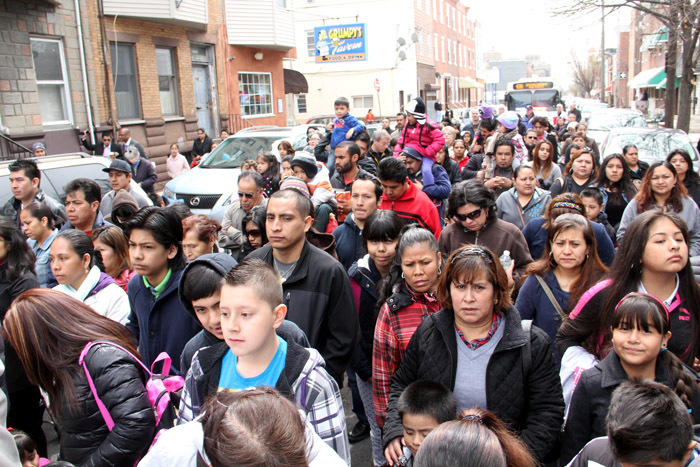 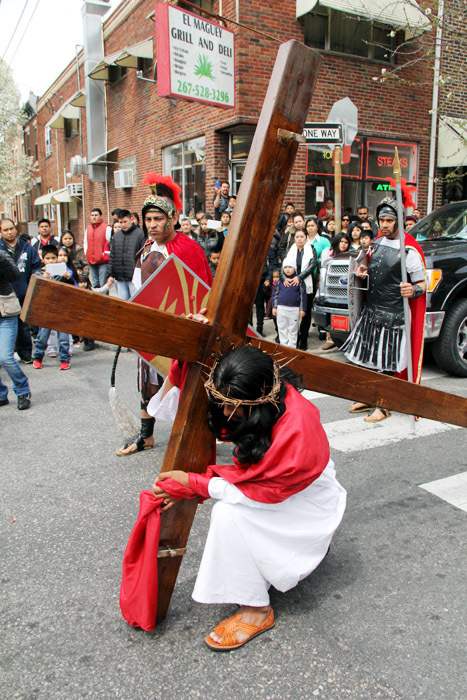 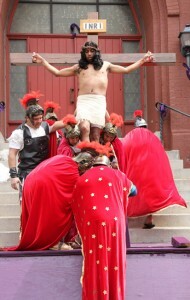 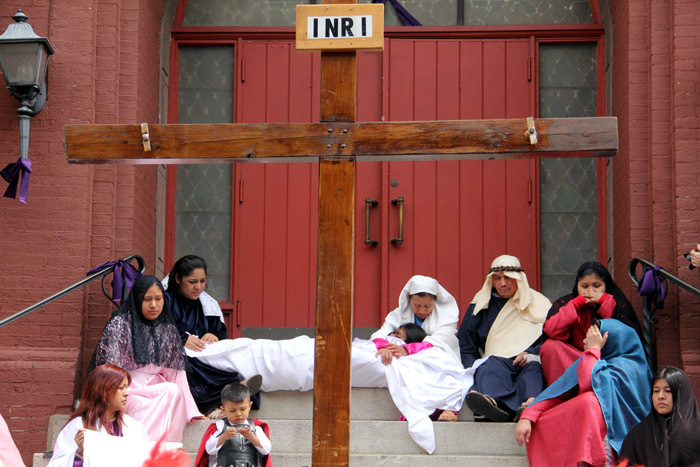 Crowds fill the streets of South Philadelphia for the Living Stations of the Cross. 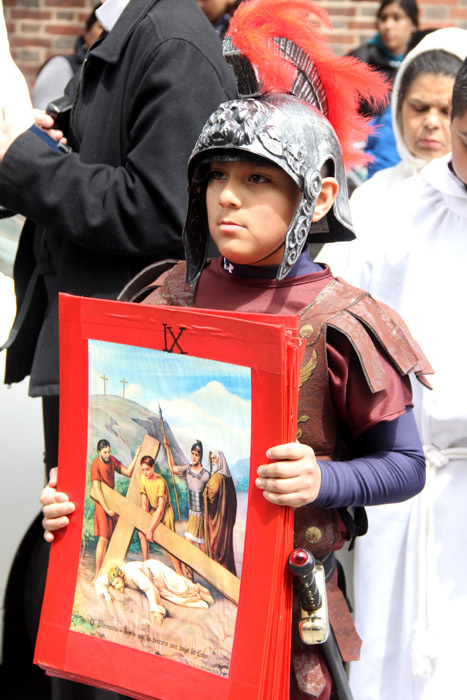 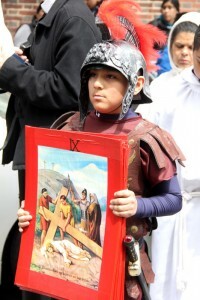 Carlos Delsalanos, portraying a Roman soldier, carries a placard reminding the audience of the ninth station of the cross during the devotional reenactment. 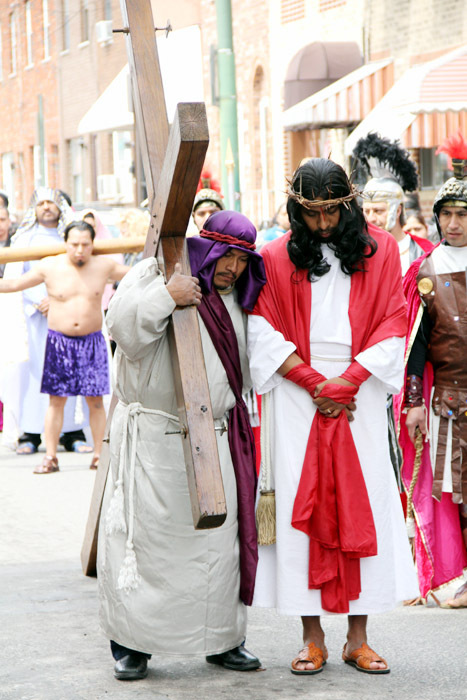 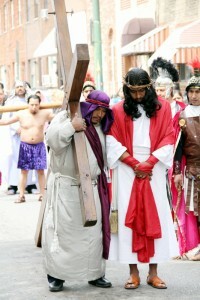 Simon of Cyrene (portrayed by Oscar Ruano) helps Jesus (Jose Miguel Almaras) carry his cross. 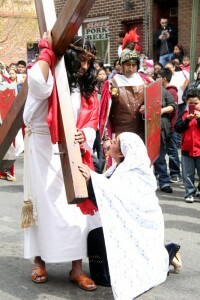 Jesus meets his mother (portrayed by Magdelena Morales). From left, Magdelena Morales, Felicitas Morales and Oscar Ruano participate in the living stations.